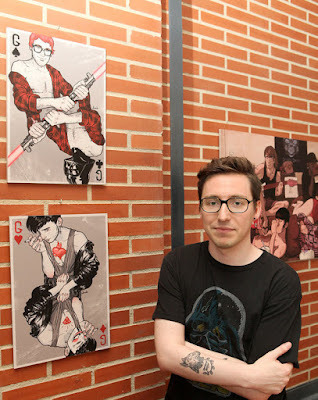 Illustrator David M. Buisán at the opening for Loft is in the air exhibition. 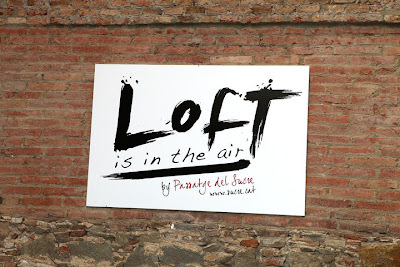 Last thursday, Loft is in the air collective exhibition opened in Barcelona. 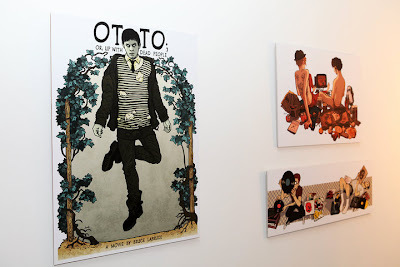 Curated by graphic designer and illustrator Sergio Rodríguez from Serse Graphics, the exhibtion features some of the work of several artists and new talents from Barcelona such as photographer Gerard Estadella, graphic designers such as Alex Trochut, Marta Cerdá (just to mention some) and of course illustrator David M. Buisán. Opportunity not to be missed, keep in mind the exhibition is open until september the 3oth!! If you're in Barcelona make sure you stop by. Check out the full interview with David M. Buisán for THE MALE MODEL MUSIC PROJECT, here. 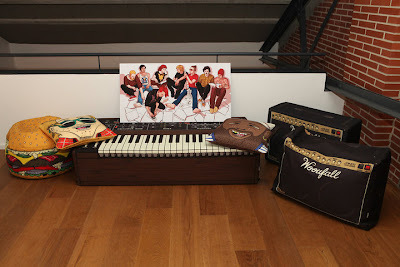 For further information about the artists featured in the exhibtion make sure you visit Loft is in the air blog, here. 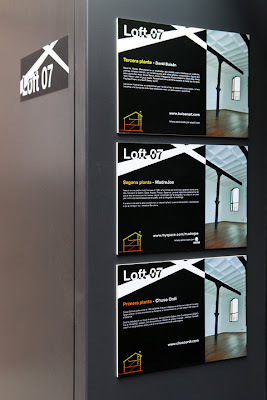 David's exhibition is located on the 3rd level of the modern and luxurious loft.